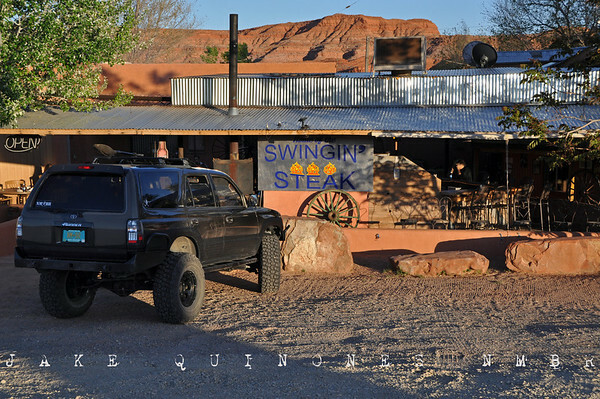 For those weary adventurists traveling Southeast Utah’s backcountry, craving something more than Jet Boiled ramen and Clif Bars; cold beer and juicy steak awaits them at the Swinging Steak. 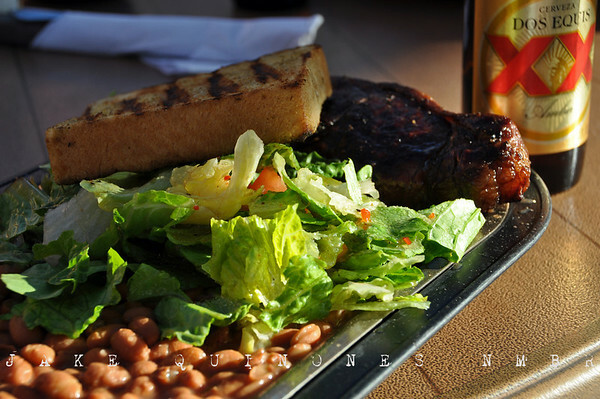 The rustic outdoor eatery is located in Mexican Hat, a tiny community situated along the banks of the San Juan River. Many find themselves in this sleepy town replenishing their supplies and refueling their expedition vehicles as it’s surrounded by spectacular destinations in every direction. With Valley of the Gods to the north, Comb Ridge to the east, Monument Valley to the South and The Goosenecks to the west, Mexican Hat has a variety of adventures at its doorstep. 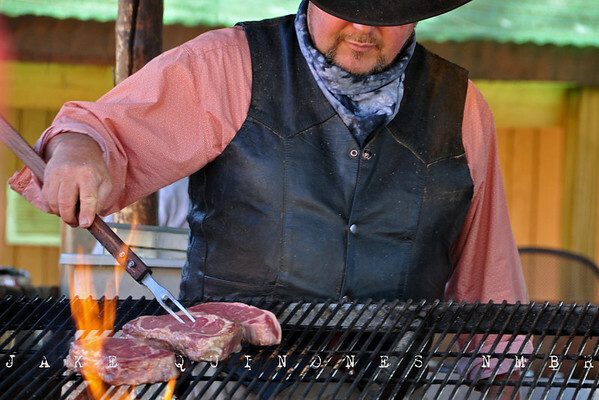 The Swingin’ Steak provides patrons with thick cuts of local beef, seasoned and grilled to perfection over an open fire. The restaurant owner, who doubles as the grill-master, swings an iron grate over the fire with one hand while he holds a beer with the other. The menu is about as simple as it gets: steak, beer, burger, chicken and more beef. What more could a thirsty and tired traveler ask for? On our visit, the owner had no problem with letting the pup sit beneath our table. 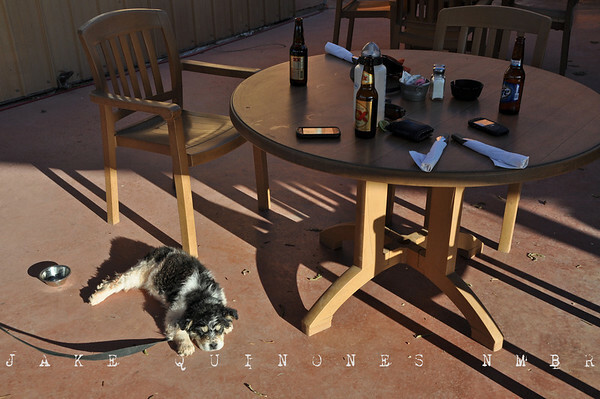 As we sipped beers and exchanged stories, we fed the pup from our plates. All the while a group of German kayakers sitting a few tables over watched us in amusement. After the feast, we returned to our camp in Valley of the Gods with full bellies and enough leftover beef to keep the pup fed for days. Don’t bother sifting through Trip Advisor's snobby reviews of the Swingin' Steak. Simply pay them a visit, have a beer and relax while you watch your steak swing above the flames.